Step 1: Create forms/checklists at head-office. Build forms using our web-based Form Builder (forms may also be built in Excel and uploaded). Target specific stores, formats and/or users with specific forms, sections and items if needed. Illustrate items with best-practice pictures and include attachments. 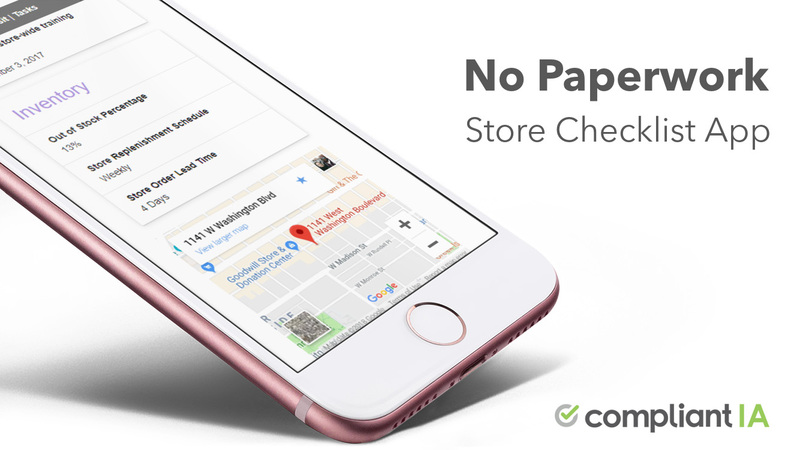 Looking for a store checklist? We have published a number of checklists to help you manage your operations. Step 2: Schedule the audit with a web-based calendar. Schedule the audit, send notifications (subject to whether the audit is announced to the store or a “surprise” audit). Export the scheduled visit to Outlook if needed. Step 3: Conduct an audit, using the form(s) available to each location, user and date. Compliantia features superior data collection capabilities. 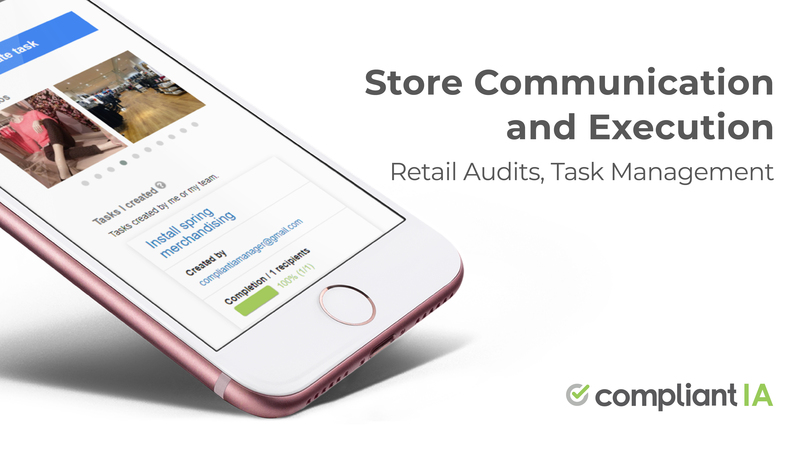 Store audits can be conducted in real-time or offline on any mobile device, laptop or tablet. Store audits are aided by geo-location, item descriptions, best practice pictures and attachments. Our system is store-list and organizational-hierarchy aware so if a district manager is affiliated with 30 stores, this district manager may only do audits and run reports against these 30 stores. Step 4: Generate the action plan. The action plan is automatically generated by extracting all non-compliant items from the audit. The action plan allows the district manager to assign a user and target date to each problem area. District managers and owners/franchisees/managers are able to enter and view each other’s notes thus making problem resolution collaborative. Step 5: Acknowledge the visit (“electronic signature”). Akin to an electronic signature, Compliantia allows the brand to designate users who are allowed to “sign off” on the visit. This provides a record of integrity and locks the audit from further edits. Step 6: Track and follow-up. Compliantia has built-in monitoring for “outstanding” tasks. At any given time, anyone may log-in (system may also send email notifications) to check what has and hasn’t been done. This results in significant savings to the organization. A Compliantia retail audit saves the organization over 2 hours and $84. Step 7: Report, refine, repeat. Compliantia features advanced real-time reporting, Key Performance Indicators and analytics every step of the way. Our reports and modules, many of them visual and interactive, allow everyone within the organization (subject to store list affiliation) to know where strengths and weaknesses exist. Spot trends, average scores, worst and best performers, and much more. With this information, the organization can further tune the form(s) and repeat the cycle of compliance.